Summary: I’ve spent the past few months looking for a good laptop with a GTX 1080 in it, and I think I’ve finally found what I’m looking for. The Aorus x7 DT offers a powerful CPU/GPU combo in a reasonably portable package, which is exactly what I’ve been looking for. And to top it all off, I really like the screen, trackpad and even the keyboard. All these things together really make the Aorus x7 DT stand out against the competition. Read on for the whole story. After my disappointment with the Aorus x5 MD, my sights got set back on the Aorus x7 DT v7. I actually became interested with this laptop after hearing how good the v6 model was, a couple months back. Unfortunately, the v7 was heavily delayed at the time, so I ended up trying the v6 out and liking it a lot. Except for the screen, that is. 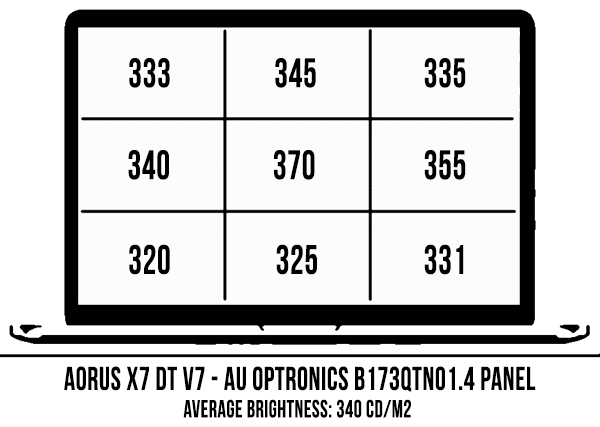 But now the v7 is finally out and Aorus claims they fixed the horizontal lines issue with the screen. It also looks like some other stuff has changed as well, including an updated case design and (finally) a Thunderbolt 3 port. In case you were wondering, the DT stands for “Desktop”. What this means is Aorus is promising desktop performance from this machine, by putting an overclockable CPU and pairing it with a GTX 1080. I’ve spent about a week with the x7 DT and I have to say, I’m very impressed with this laptop. 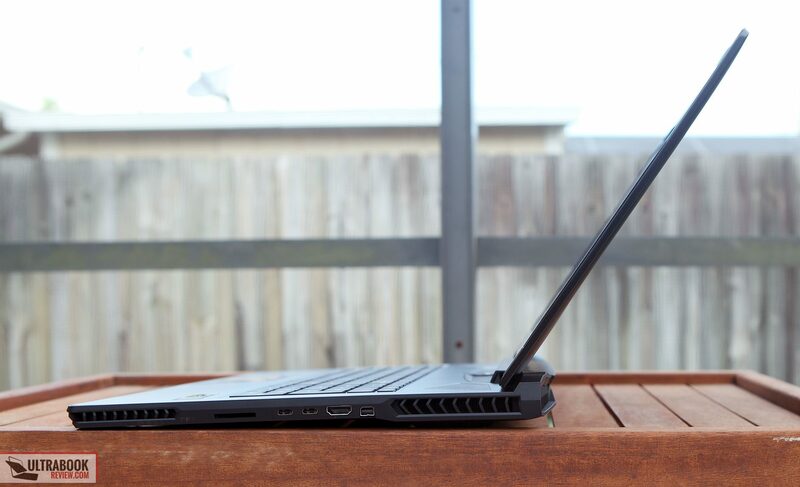 Of course there are a couple flaws – there’s no such thing as a perfect laptop, right? But in the grand scheme of things, those flaws are pretty minor and I certainly think this laptop is something worth considering, especially if you’re looking for a somewhat portable 17” gaming laptop. 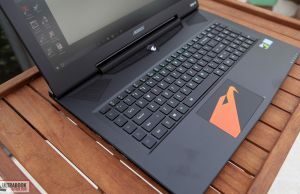 So here’s what I found out after putting the Aorus x7 DT to the test. The overall build quality is pretty decent, on this machine. There are a couple of flaws, which I’ll explain shortly though. It feels solid and easy to carry, and the weight is evenly distributed. There is some heft to this laptop though, as it weighs about 7 lbs. Considering what’s inside though, 7 lbs isn’t all that bad. The overall thickness ranges between .9-1.0”, which is very thin for a 17” gaming laptop with a GTX 1080 in it. Even though it’s thin, the casing still feels pretty strong. But there is a potential weak point that should be noted. 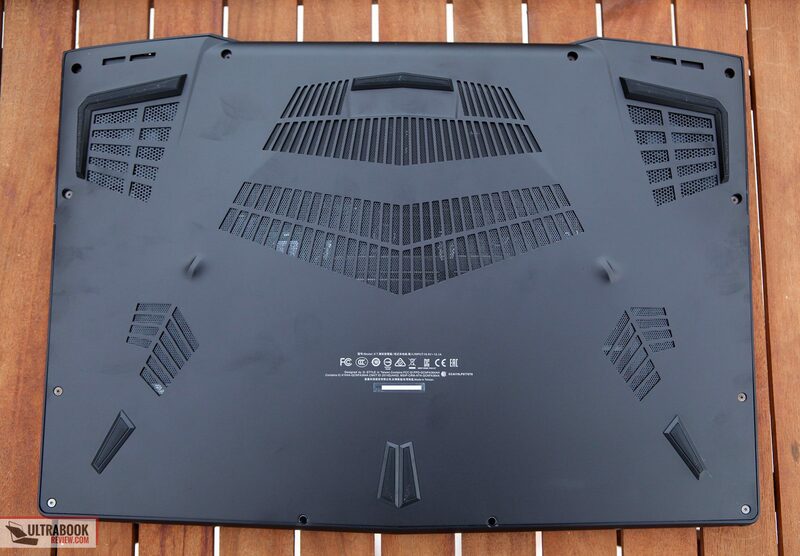 The back vents, for example, are made of plastic and are fused to the metallic body of the rest of the laptop. It’s not necessarily weak, but I still don’t feel comfortable enough lifting the laptop by just the vents. On top of that, the edges are a little sharp. The overall design is pretty nice looking, in my opinion. It certainly looks like a gaming laptop, with all the vents, colors and logos. I’ve definitely seen worse though and could easily live with it(well maybe not the trackpad). 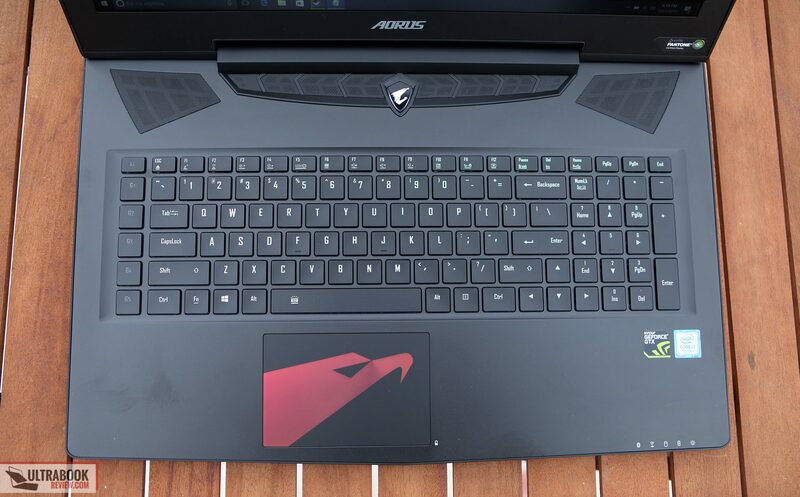 If you’re used to Aorus’ design, this laptop will definitely look familiar. 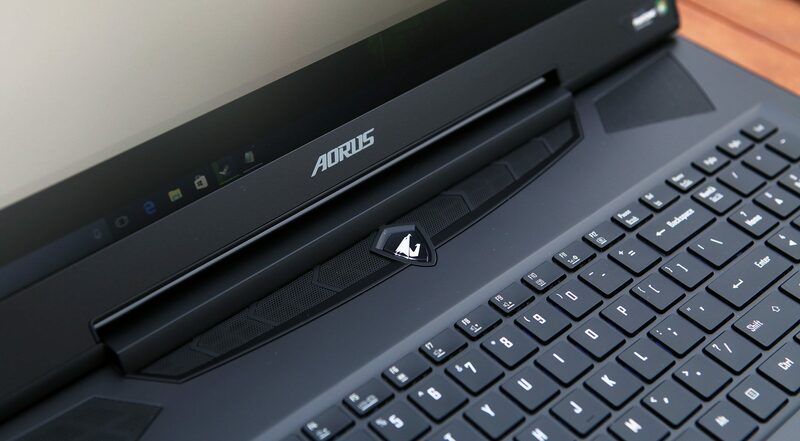 At first glance, it’s the spitting image of the Aorus x7 v6. But even though things may look the same, there are some subtle improvements that Aorus has made over the previous design. Starting on the top though, is the same cover as before. The lid is made mostly of a black aluminum-magnesium alloy. I say mostly because the lip is made of plastic, likely where the Wifi antenna are located. Centered on the lid is a backlit Aorus logo, which is kind of ugly in my opinion. You can’t turn it off but it’s flush with the metal and can easily be covered up with a sticker or something. 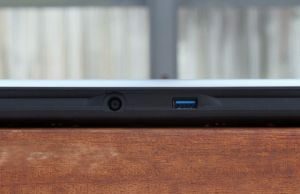 Unlike most other laptops, the hinge isn’t on the very edge. Instead it’s recessed a little. This is because there are some very large vents that are built around the hinge, which are obviously necessary to cool the internal components. 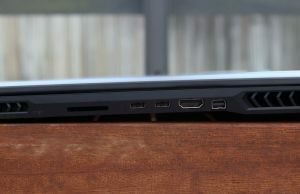 This is similar to what I saw on the Alienware 17 r4, but luckily the width isn’t as extreme as that one. In fact, this unit is about an inch narrower and actually fits into my backpack (eBags Professional Slim). Lifting the lid with one finger is possible on this unit. 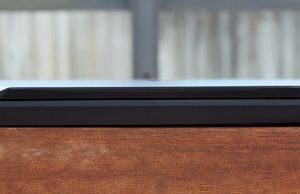 The hinge is strong enough to keep the lid in place when moving from one place to another, but there is still a little wobble – likely because of the size of the screen. It’s inconsequential though, because there’s little reason to touch the lid, once in place. Because of the recessed hinge, the lid can’t open up past 135°. Most won’t care, but it’s still a limitation to note of. The lid itself is thick enough and actually pretty well built. Like the x5 MD, I think the bezel is actually made of metal on this one, which is a welcome change from the typical plastic. Centered at the top is the webcam, ambient light sensor and microphone array. Pad printed at the bottom is an Aorus logo. One last thing to note on the lid are the rubber feet at both the top and sides of the lid. This gives plenty of cushion for when you close the lid, eliminating scratches. But it comes at a minor cost because of the slight gap at the lip of the machine. In fact, closing the lid on this machine is so dampened that it’s not quite a satisfying feeling that the lid is completely closed. Underneath that screen is a metallic palm rest area, with the keyboard and an ugly trackpad, with a giant orange Aorus logo on it. Oddly enough, the trackpad isn’t quite as ugly as the one on the x5, as the colors are a little darker. I’d still prefer it not to be orange(or there at all)… The other feature that stands out is the power button, which glows white when powered on and cannot be turned off. 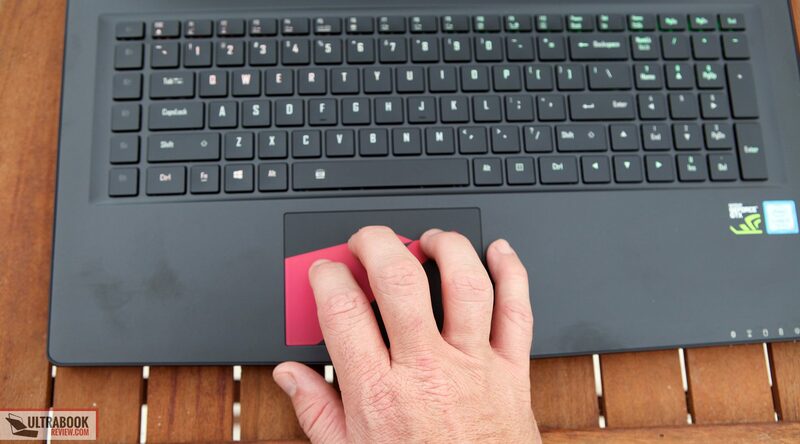 Unlike last year, where the keyboard was a separate component, the palm rest and keyboard are a single piece. This is a good thing, but instead of a pseudo-unibody design like on the v6, the edges are actually fused with a plastic border. It’s still a quality design and feels ok, but I do worry about gaps forming over time. In fact, there’s a small gap on my unit where the indicator lights bleed through. UPDATE: I ended up getting another unit and there was no gap on this one. Above the keyboard area are some vents. On both sides of the power button are some thin strips of passive vents. Flanked on both sides are some active intake vents for both the CPU and GPU. The more vents, the better, but those vents do collect dust and need a good wipe down every few days. Unless you live in a clean room, there’s little you can do to avoid this. There’s plenty of connectivity options on this machine. Starting on the left are tree USB 3.0 ports, a Gigabit ethernet connection, a headphone jack and a microphone jack. By the way, that headphone jack has a Hifi Sabre audio DAC, making your headphone sound quality sound phenomenal. On the right side is a mini-Displayport, HDMI, Thunderbolt 3 and an extra USB 3.1 USB-C connection. There’s also a memory card reader that’s attached to a PCI lane for ultra fast R/W speeds. 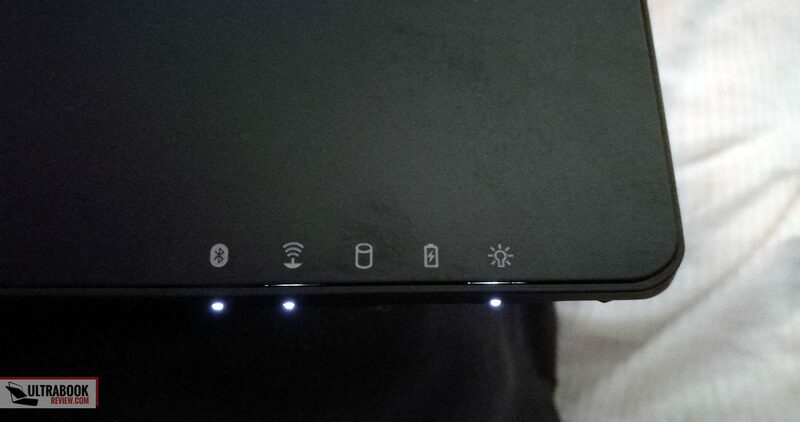 The back of the laptop even has some connectivity as well. 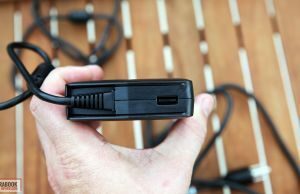 A single USB 3.0 port is accompanied with the power connection. I really appreciate this for a couple reasons. First with the power cord being in a neutral position as opposed to the left side, or worse, the right side. It’s nice to keep that cord out of the way, considering it’s used so much. Also that back USB is ideal for a mouse dongle. It’s recessed slightly, so the dongle doesn’t really catch on anything. 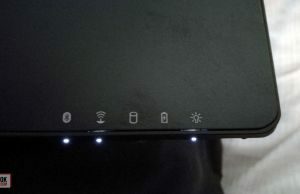 The front edge of the laptop is pretty uneventful, with the exception of the indicator lights, which are white in color. Bluetooth, Wifi, HDD, battery and power lights are included. They look like vents at first, but the openings on the corners are actually the speaker grilles. Behind the grilles are a pair of tiny speakers on each side. Aorus says there are only two but there are definitely four. The bottom cover is made of metal and looks really sharp. There are some solid looking rubber feet in key spots. There are also some passive and active vents, as well as two openings for the subwoofers. The bottom cover is held on by a number of torx screws all around the perimeter. I was a little worried about not having one in the center anywhere, mainly because I thought it would flex. Fortunately, it feels very strong without one. At the end of the day, I’m pretty happy with the design of this laptop. Yes, the logos are ugly, but they can be covered up pretty easily. The only other complain I have is the occasional creak I hear when moving it around. That pretty much comes with the territory when blending plastic and metal in such a thin chassis. The way I see it, the pros outweigh the cons. This is a great example of how to blend strength, thinness, looks and ventilation. The keyboard on the Aorus x7 is pretty good. It’s a full layout that includes the Numpad, something that’s usually a given for 17” laptops. It’s a chiclet style keyboard, with keys that are pretty well spaced apart. 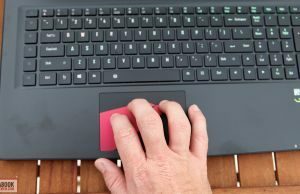 Like I mentioned before, the keyboard is built into the palm rest, so there’s little of no keyboard flex and your typing experience will feel solid. This is the exact same keyboard as on the Aorus x5, so my opinions are pretty much the same. I retook my typing test and scored my usual 50wpm. I’m more accustomed to typing hard on this keyboard, so my error rate has gone down. But it’s still something people will have to get used to. The keys themselves have 1.6mm of travel and take a whopping 70g of force to actuate. The feedback force is 40g, so at least the keys spring right back and don’t feel mushy. The keyboard is backlit and has some pretty nice options. Not only can you change the color of the backlight, but you can do it for every individual key if you desire. This is the same as with the new Razer Blades. 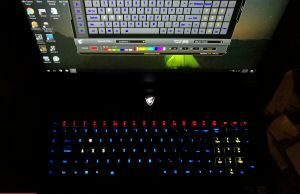 Aorus Fusion is the keyboard software that’s used to control the keyboard backlighting options. From there, you can set up profiles and difference effects, such as ripple, wave and static color schemes. You control the brightness of the keys with a slider in the software, but you can also change it with a keyboard shortcut. Overall, I’m liking this keyboard more and more. It definitely takes some getting used to, but I feel like I’m able to type well on it, after some practice. Besides the stiff keys, the only other thing I’d consider changing is the font. One major flaw with the keyboard is it’s prone to jamming. Only certain gamers will be affected by this, but I wanted to note it’s discovery because most gaming laptops have anti-ghosting keyboards. What this means is certain key combinations of three or more keys in the same keyboard zone may not be possible. For example, hitting Q, A and S keys together isn’t possible. Besides the bright orange logo that I hate, the trackpad is actually pretty nice. This one is NOT the same as the one on the x5 MD though. That model’s trackpad had a silicone finish, but this one is, thankfully, glass. Tracking and touch gestures were very smooth and accurate. I instantly got used to it as if I’d been using it for years. It helps that it’s an Elan brand trackpad, one that I’m very used to. Additionally, it’s a clickpad, so the lower right corner initiates a right click and everywhere else is a left click. But if you want, the software recognizes single and double taps by default. The Aorus x7 DT comes with two screen options: QHD and 4k. This unit I have has the QHD screen, more specifically a resolution of 2560 x 1440 px. It has a matte finish and is Tn type. Don’t shy away yet, because this is a really nice Tn screen. It’s actually the exact same screen that I saw in the Alienware 17 r4, which I really liked a lot. It’s an AUO brand, with part number B173QTN01.4 and model ID AUO1496. The main highlights are that it’s QHD, with a 120Hz refresh rate and a 5ms response time. The 120Hz feature really puts it over the top for me. Simple things like moving windows around look so much smoother with a 120Hz display. On top of that, FPS gaming looks phenomenal. Because it’s Tn, the viewing angles aren’t as good as an IPS screen. Side to side angles are still very good though. At 45 degree angles, I can easily read text and most of the colors stay consistent. From above, the colors start to wash away a little, but it’s still usable. From underneath, the colors and images are totally distorted. I detected no backlight bleed on my unit and there were no dead pixels that I could find. The maximum brightness on this unit reached 370 nits, which is pretty bright. That and the matte finish make outdoor usage pretty feasible. One drawback to the panel is the poor contrast ratio. At maximum brightness, I measured a 440:1. Images still look good, but you’ll notice that blacks look a little on the grey side – so dark scenes in movies and games won’t necessarily look as dark as if on a higher contrast IPS screen. I also measured the brightness distribution on the panel and got some pretty typical results. The edges weren’t as bright as the center, but this is typical and something that is not really noticeable to the end user. One last thing to note on the brightness is the minimum whites go as low as 17 nits – ideal for night time reading. Using a Spyder4Pro, I measured the color space on the panel. I measured 91% sRGB, 68% NTSC and 71% aRGB. On top of that, this panel comes with Pantone certification, meaning that they have an icc profile that is already calibrated for the screen. I found that the calibration they performed was fairly accurate and can probably be trusted for most amateur or semi-professional work you choose to do. Professionals will want to keep their own tool on hand though, as these are generic icc profiles and not specific to each individual machine. Both panel options are Gsync enabled, which means increased performance and decreased screen tearing, when playing games. It also means the battery life will be lower though, since Optimus isn’t enabled. You may have seen some poor reviews on the v6 QHD screen. I’ve seen it in person and the panel was plagued with a hardware problem, causing horizontal interlacing lines to be shown on still images. Rest assured that this panel doesn’t have that problem though. The older panel was revision 1.0 and this one is rev 1.4. Overall, I’m very pleased with this panel. I liked it on the Alienware and I still like it now. It’s a great resolution for the GTX 1080 to easily be able to push 120Hz onto and still have a crisp picture. If that’s not enough though, you could always choose the 4k option. I don’t have that model available, but I’ve been able to confirm that it is the exact same screen that is on the Razer Blade Pro: Sharp IGZO SHP145A, part number CRX1200. It has a 3840 x 2160 px resolution, 60Hz refresh rate and is full gamut. Meaning that it covers 100% of the aRGB color space. What I’m not 100% positive about is if the panel is glossy or matte. In the RBP, the panel had glass on top, so I would assume glossy. But Razer has put glass on top of matte panels before, so who knows. 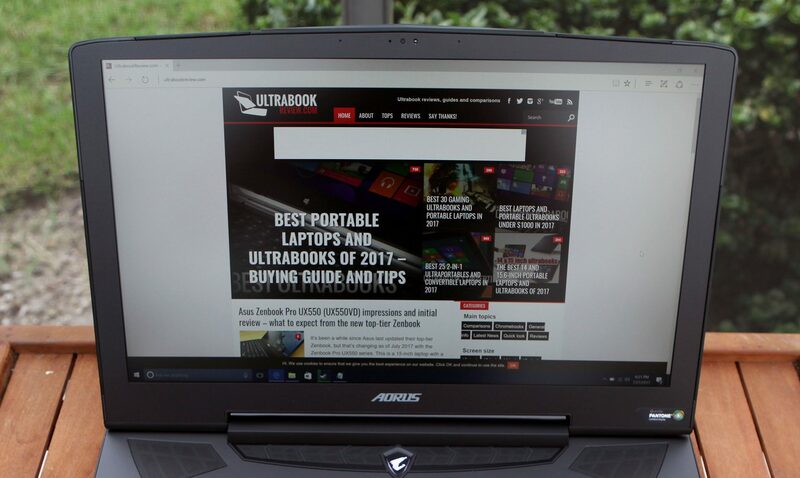 Aorus and Newegg both say anti-glare, so it might be matte. Either way, it’s a great looking screen and I’m sure anyone would be pleased with the picture quality. The only drawbacks would be an increased power drain and possible backlight bleed issues, so beware of that. They 4k model is also much more expensive. The x7 DT comes standard with an i7-7820HK CPU and an Nvidia GTX 1080 GPU, with 8GB of GDDR5X VRAM. 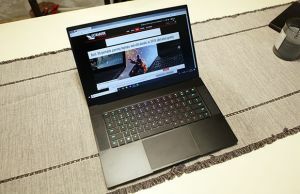 It’s a very powerful combination of hardware to squeeze into such a thin package, especially since it’s not power limited like the Razer Blade Pro. 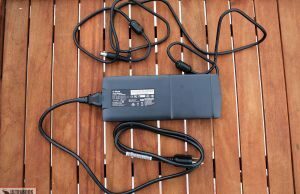 The 255W power adapter provides just enough to supply both of these components and get the most out of them – similar to a desktop performance. There’s also room for overclocking. 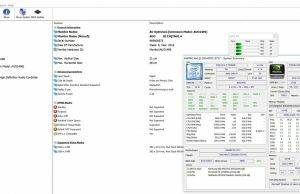 The command and control software allows for some overclocking presets to overclock the CPU to 4.3Ghz and to add an 80Mhz overclock to the GPU. I would caution overclocking the CPU, as it reached the thermal limits for me (which Aorus sets around 93ish degrees. CineBench R15:OpenGL: 119.73 fps, CPU: 803 pts, CPU Single Core: 159 pts. I’m very impressed with how hard this laptop can be pushed, especially with such a small PSU. It would be nice if Aorus left the choice up to the user to unlock the power limit and use a bigger PSU though. One thing to note on my unit is that there was a pretty severe temperature mismatch on my core temperatures. In my case it’s 8C and is causing some thermal throttling. This is most likely due to using cheap thermal pads for the heat sink and can easily be fixed with a repaste. Again, I only saw this when overclocking, so it’s not that big of a deal. Honestly, even with the mismatch, this is still pretty good thermals. Ultra settings, Max AA and AP 1440p – 71-84fps with dips as low as 54fps. Default high settings at 1440p – 80-145fps with dips as low as 70fps. These were all taken at stock clocks, by the way. Compared with the Alienware 17 r4, these results are nearly the same. That should be expected though, considering the hardware is almost identical in both machines. 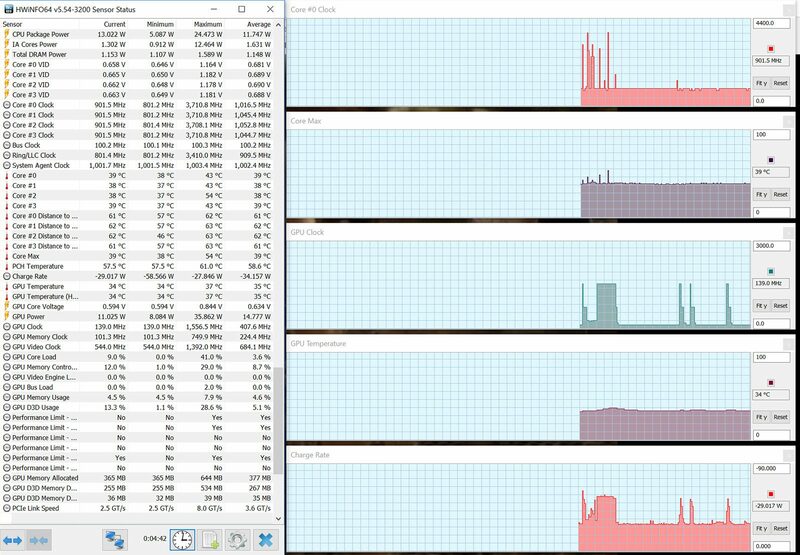 Hopefully it’s easy for you to see how powerful this laptop is. Compared to the Razer Blade Pro and MaxQ designs of the GTX 1080, it’s perfectly clear how much of a performance difference there is. I think they stretch it a little by calling it a desktop performance, as my results fall a little short of the desktop GTX 1080 (I get a 21786 Firestrike graphics score at stock clocks). But a 5-7% drop is something I could live with, especially since you can make up the difference by overclocking. I was a little hasty with my previous observation because my desktop card had slightly higher stock clock speeds. When comparing this to a GTX 1080 FE, these benchmarks between the two match up, so Aorus indeed does offer “desktop” level performance. The only difference is the level of overclocking capacity, which a good desktop model will likely outperform the Aorus. Also included in this configuration is 16GB of DDR4 2400 Mhz RAM. The 4k model has 32GB or RAM, if you need more. If you need even more, you can do so by opening up the bottom cover. Underneath are 4 RAM slots, allowing up to 64GB of RAM. Also underneath the cover is the included 256GB Samsung SM961 SSD. This is a very fast drive, but they are known to run pretty hot, hence the thermal pad that is on it. 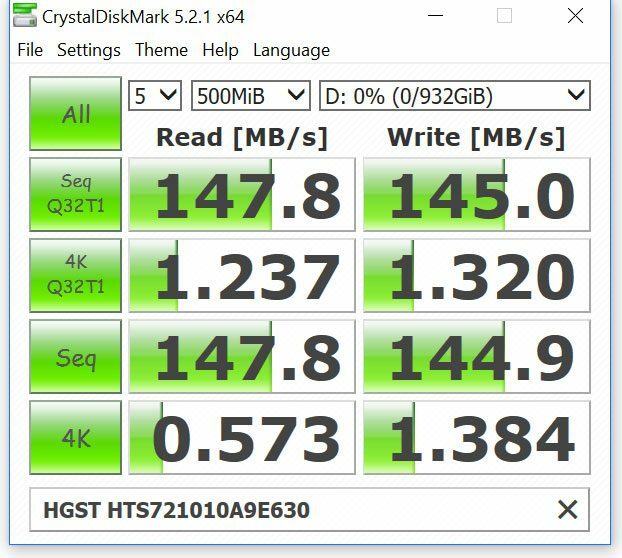 The speeds are pretty good though, as you can see from my Crystal Disk measurements. If you need more expansion, you can add another M.2 drive in the empty slot. There’s also a 1TB 2.5” HDD in this unit. It not fast, but it gets the job done. 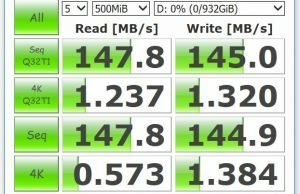 If it’s too slow or noisy, you could also replace it with another SSD. I plan on putting a 2 TB Samsung SSD in that spot. Being as thin as it is, you probably expect the external thermals to be pretty high. And you would be right – this machine gets pretty hot when put under load. 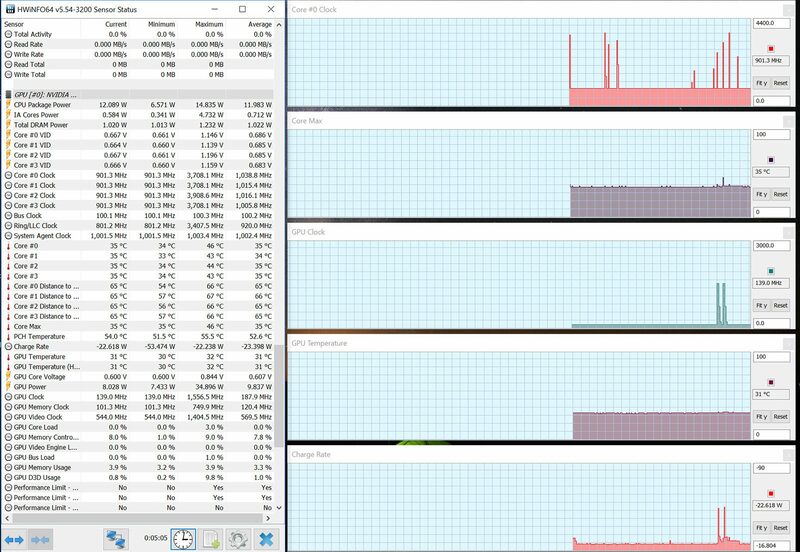 As you can see with my readings below, the underbelly of the laptop gets extremely hot while gaming. 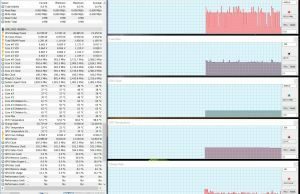 My maximum reading was 60C, which is the highest I’ve measured since the 2014 Razer Blade with 870m. So gaming on your lap is not recommended unless you have a cooling pad. The good news is the palm rest stays pretty cool, for the most part. 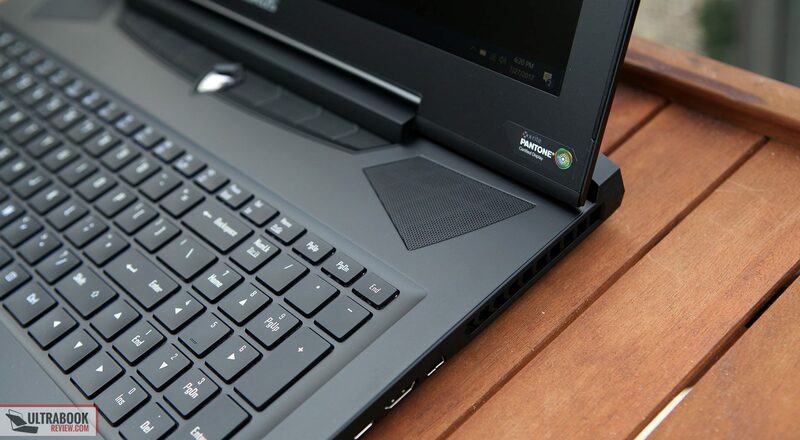 In fact, not only are the top temperatures better than the Razer Blade Pro, they are also very similar to the Alienware 17, which is a much thicker machine. The excessive amount of ventilation is responsible for that. Having four intake vents on the top and bottom and four exhausts on the back and sides really help move the air around and keep it from being trapped in the palm rest. This also helps with temperatures under normal loads. With other models, I’m constantly noticing temperature buildups over time, from blocking the small intakes on your lap. The vents on the top really do make a difference in normal use thermals as well and I’m liking what I see(and feel). I changed my sound meter because I originally thought the levels were abrnomally low when I took my original readings. Turns out I was right and the max level was 50dB at ear level. It’s pretty loud but about what you’d expect from a GTX 1080 an an overclockable CPU. Since we’re talking about noise and heat, I wanted to point out an oddity with my unit. It’s not every time, but I frequently hear a click in the bottom of the casing when the laptop heats up due to heavy load. Subsequently, I also hear it when it cools back down. UPDATE: I ended up getting a replacement unit because of this and the temperature differential issue and it turns out I had a defect. My new unit works perfectly. 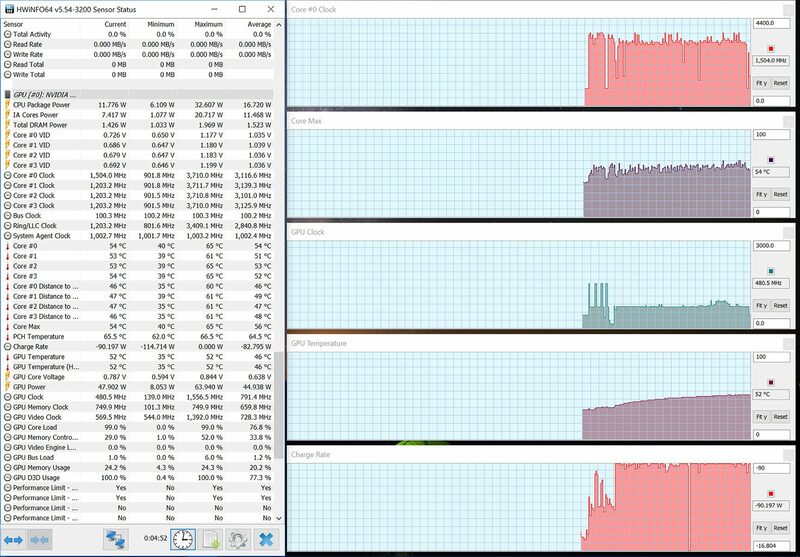 All cores are consistent temperatures as well. After investigation, I found that the cover itself is responsible for making the noise. It appears that there is some thermal expansion going on and the cover is making a noise when it happens. This is where a center screw on the cover would probably help. I’ve checked with others online and it appears to be isolated to only myself for now. I’ll keep you posted if I hear differently. Radios – The Aorus x7 DT comes with a Killer Wireless AC 1535 module. Bundled with the module is the Bluetooth 4.1 chipset. Overall the card performs pretty well, as I haven’t had any drops in connection. I always seem to have mixed results with Killer Wireless cards, but this one appears to be working better than most. The reception on the antenna is very good. I took a speed test 25 ft from my router and maxed out my ISP. Even at 100 feet from the router, outside and at the corner of my porch, I still maxed out my connection. No complaints here. If wireless isn’t your thing, there’s also a Killer Gigabit ethernet connection on the left hand side. Speakers – This unit has 4 small speakers on the front corners and two subwoofers underneath. I really like the sound coming from this laptop but it takes a little tweaking with the EQ settings in order for it to sound right. After adjusting my settings, I played my typical test song and measured the max amplitude at ear level. On this unit I got 75dB – pretty decent if you ask me. For a gaming laptop, which normally has mediocre speakers, the sound was surpsiringly full and didn’t sound all that tinny. Of course, that requires a lot of adjusting with the EQ settings because the defaults aren’t all that good. The subwoofers help with the mids but they still lack bass and don’t warrant them being called “subs”. I was able to hear bass at frequencies as low as 50 Hz, so that’s actually not too shabby. Webcam– There’s nothing too special about this webcam. It’s merely a standard HD webcam. The picture is decent in good light, but the graininess is pretty lousy in low light conditions. Maybe someday we’ll be past all these cheap webcams, but not today with this model. The configuration I received has a 94 Whr battery, a pretty large battery for such a thin system. It’s a contributor to the weight of the laptop, but it’s certainly worth it. I ran my typical battery test which consists of using the stock “Power Saver” power profile, 20% brightness (90 nits), WiFi off, Bluetooth off, and running a 720p movie in a continuous loop at full screen with the volume muted. I start the clock when it’s unplugged and stop it when the unit performs a self- shutdown. 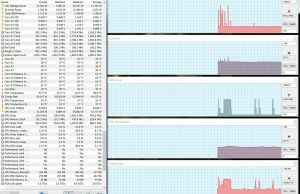 The Aorus x7 DT v7 lasted a total of 4 hours and 13 minutes before shutting down. Not very long, but considering there’s no iGPU in this system, this is pretty typical. 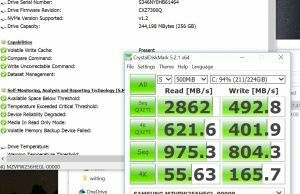 82.8W (~ 1h 8m of use) – gaming, Witcher 3 1440p High – 30 Fps limit. 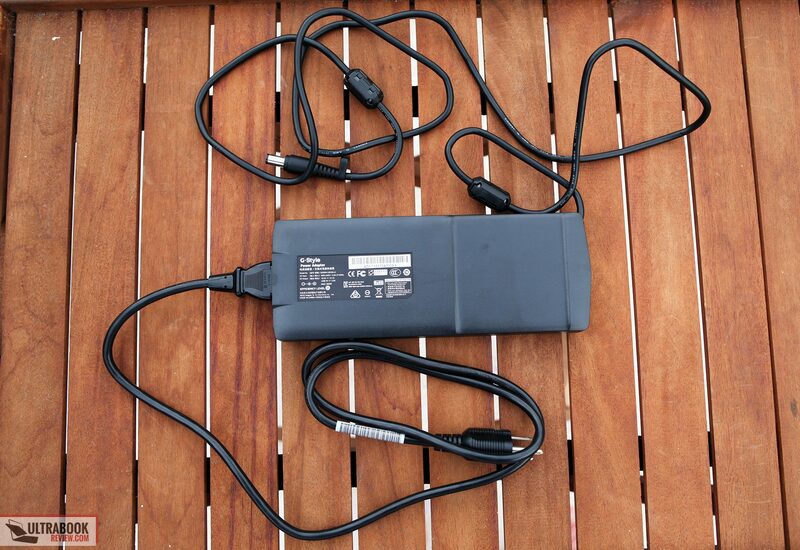 Also included with the laptop is a 265W power adapter. It’s actually 255W, with 10W reserved for the USB charging port on the end of the adapter. 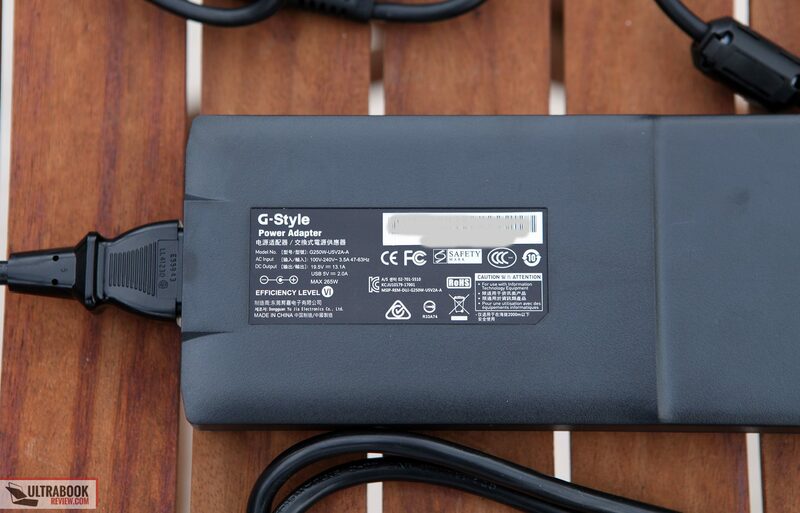 It’s actually a really nice and compact power adapter and has some good looking features. Weighing 1 lb and 11 oz, it’s not too bulky or heavy at all. The model I received is available at places like Amazon and Newegg, for the price of $2899 at the time of this review. It’s a pretty steep price, but if size is a consideration for you, it might be worth it. 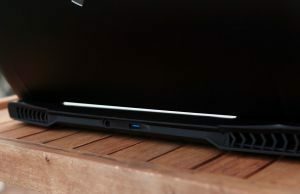 For comparison, an Alienware 17 r4 with matched specs is priced at $2575, over $300 cheaper. If you’re looking for the 4k version, you’re going to have to pay a heavy price for it. It’s currently only available at Newegg for the insane price of $3399. Granted, there are some upgraded components, such as 32GB or RAM and a 512GB SSD. But that’s not enough to warrant the price difference – in fact, by my math, they are about $300 off. Unfortunately, there aren’t any cheaper 4k configurations just yet. This is still cheaper than the Razer Blade Pro, if that helps. If price is a concern but you like the model, you may want to consider the non-DT version of the x7 v7. This model has a standard 1070 in it and is available at places like Amazon for $2499 right now. I’ve spent the past few months looking for a good laptop with a GTX 1080 in it, and I think I’ve finally found what I’m looking for. The Aorus x7 DT offers a powerful CPU/GPU combo in a reasonably portable package, which is exactly what I’ve been looking for. 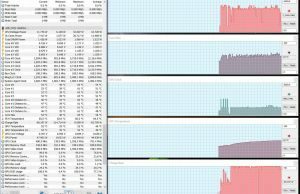 On top of that, there’s extra space for more RAM and storage – a huge plus for me. And to top it all off, I really like the screen, trackpad and even the keyboard. All these things together really make the Aorus x7 DT stand out against the competition. 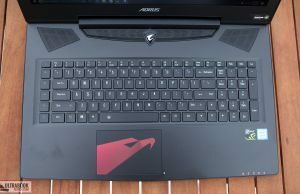 As far as size is concerned, the only smaller laptops with a GTX 1080 in it are the Razer Blade Pro, Asus Zephyrus and the Aorus x5 MD. But as I have shown in all those reviews, they all contain the GTX 1080MQ or equivalent – so you’re paying the same amount of money for less performance. The Acer Predator and Alienware 17 r4 were also on my list, but considering the size of those machines, compared to this one, it’s hard to choose either one of them. At least for me. Really, there’s only a couple things I can complain about. The build quality could be a little better I suppose, especially with the thermal expansion noise and the gap at the indicator lights. It’s still a pretty solid feeling device though and I think it’ll last a long time. I would like to see Aorus improve in this area in the future though. Another thing that could use improvement is how hot it gets. But other than using better thermal paste, I don’t think there’s much else that can be done to prevent the underside from getting so hot. It is a GTX 1080 in a 1” chassis after all. I guess the last thing that this machine has against it is the fact they took so long to release it. Aorus is a little late to the game with this CPU/GPU combo and the crowd that has been looking for these specs has likely already bought their machine. 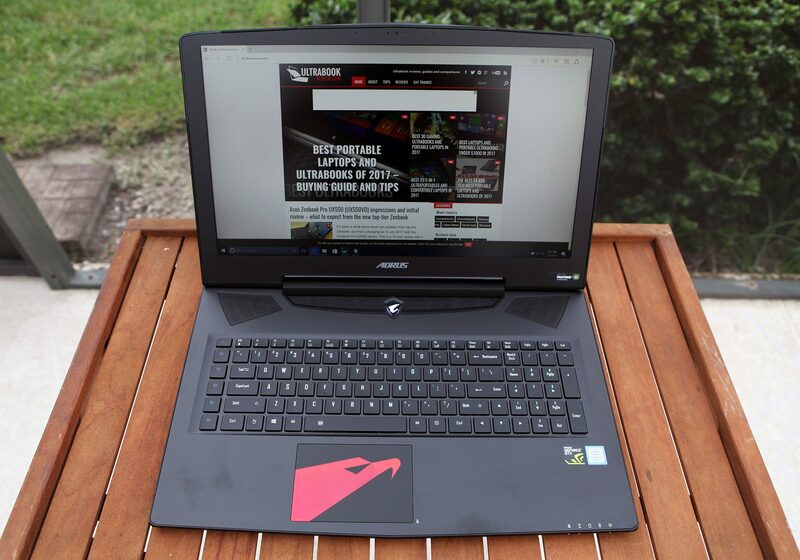 But if you’re one of those people still looking, the Aorus x7 might be for you. In the end, I’m willing to live with those minor flaws and look forward to using this machine over the next several months. I have a feeling I’ll be keeping this one a while. That about wraps up this review. I’ll have this on hand for a while, so feel free to ask me any questions about it in the comments section below. I’ll probably be repasting the CPU and GPU as well, so keep an eye out for any updates in the article about my progress. Another insightful review Derek. Looks like a great laptop. I was certain about the Asus Zephrus before reading this but torn again. Now you've completed the X7 DT review which one do you prefer and why? What's more important to you? 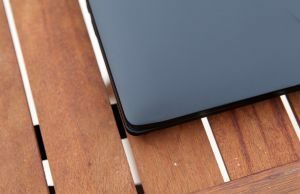 Overall performance and upgradibility or portability and a slightly better build quality? For me it was expansion and upgradibility. One m.2 slot isn't enough for me, especially since I already have 32gb of RAM, 1tb m.2 and a 2tb 2.5" SSD. I wouldn't even be able to use half that in the Zephyrus. Other than that, the Zephyrus was a great machine – both are really. Even though the Zephyrus has MaxQ, the performance is probably close to equal considering it only had a FHD screen and has less pixels for the GPU to drive. So you'll be hitting 120fps on many games for both machines. I can see how this is a tough call. Looking back, it was for me as well. I value portability and would like the most performance in the most portable package. But the Zephyrus was a single m.2 and ram slot away from being what I needed. Let me know if there are any specific areas that mean the most to you and maybe I can put a better comparison of the two out there for you. Ultimately I want it for gaming with the best quality graphics and FPS. Portability isn't crucial but a nice to have. I also want it to last a while and not have to replace soon as games get more demanding over time. I have a MacBook for everyday use (work etc) so it will be 100% for gaming to replace using consoles. I did consider the XBOX One X but want a laptop instead. If that's the case, then for you I would recommend the Aorus. Mainly because the performance will last you longer since it can be overclocked. Thanks. Aorus it is. For all your help is there anyway I can rate your review site or big it up etc? No prob, happy to help! There's nowhere that I know of to rate us but the comments speak for themselves and purchasing through our links always helps as well. I appreciate it! Thank you a lot for the great review. I'm really in doubt between this machine and the zephyrus. I read the 1080 max-q is close to an overcklocked 1070, instead you said this 1080 "go" performs just 5% less that a desktop 1080. How much will this matter for future videogames and for playing in virtual reality (I guess for now both should be fine)? 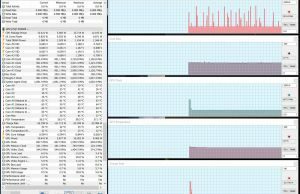 Another question: what about a more modest laptop with a 1080 on the Thunderbolt 3 port? In hindsight, I should have rephrased that. It was a slightly unfair comparison because my desktop card has a slightly higher base clock speed than the Aorus does. I was able to overclock the Aorus and make up the difference. There still might be a difference, but it's pretty small. Compared to the stock reults of a GTX 1080 FE, the results are nearly identical. The Zephyrus won't be able to perform at this level. As I pointed out in my review, I had to overclock it just to get close to being like a full 1080. There was no room to overclock it more. A eGPU wouldn't help your situation if you're worried about performance. Those will definitely have 5-10% performance loss, just from having to pass through the PCI lanes through a cable. The only way I see that being worth it is if you value portability over everything else. But in that case, you'll be dealing with an U CPU and will also have CPU performance differences. Honestly, both the Zeph and Aorus are fine for current VR. 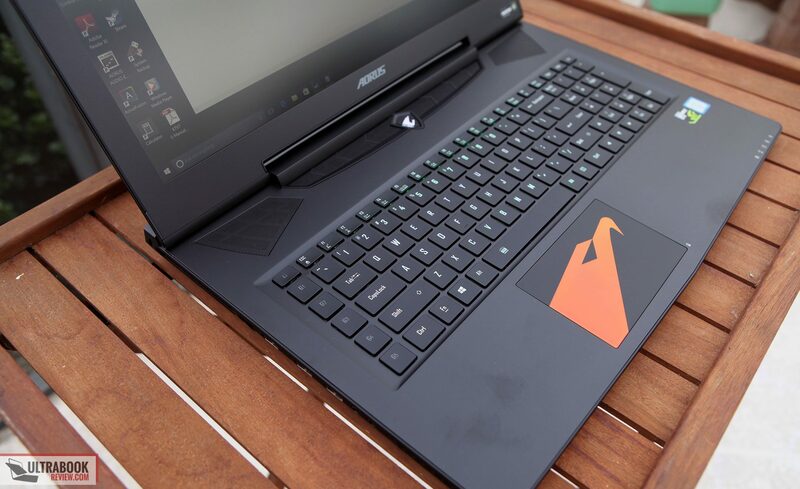 The Aorus will just give you a little more in the long run, but it requires overclocking. 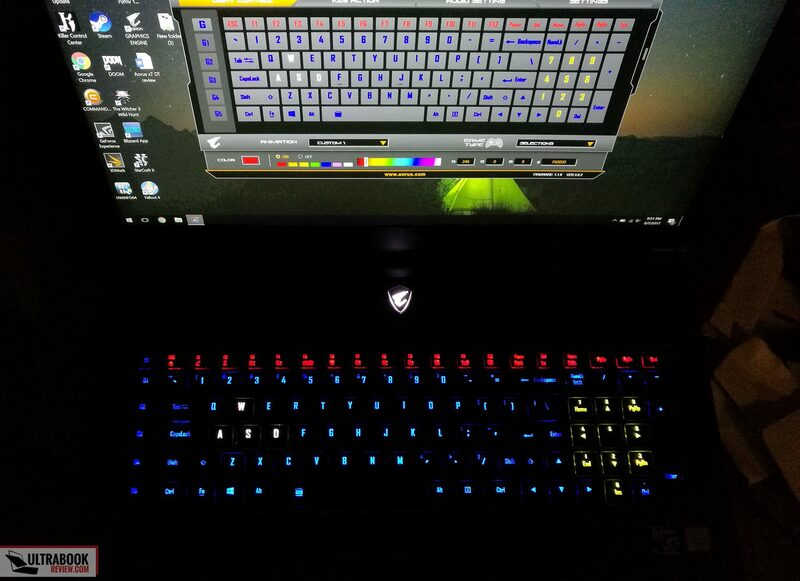 Just wonder does X5 V7 and X7 V7 and X7 DT V7 have any keyboard issue, in Taiwan there are people complaints about keyboard will not register when press Q,W key together and A key will not respond, If press A,S key together Q or W key will not respond ~~I have bought X5 V7 in Taiwan and I got keyboard issue and went to gigabyte repair center, those engineers were shocked and told me there are going to work out a solution to fix keyboard issue, I think Aorus laptop doesn't have NKRO~~it is a serious issue in Taiwan at moment. Ken, I'll look more into this later tonight. I'm not sure. So I just tested it and you are right – there's definitely key jamming. Not something I would expect from a gaming laptop. I wonder if this can be fixed by firmware. 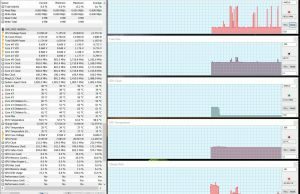 Just want to know how are the gaming and stress test's performance. 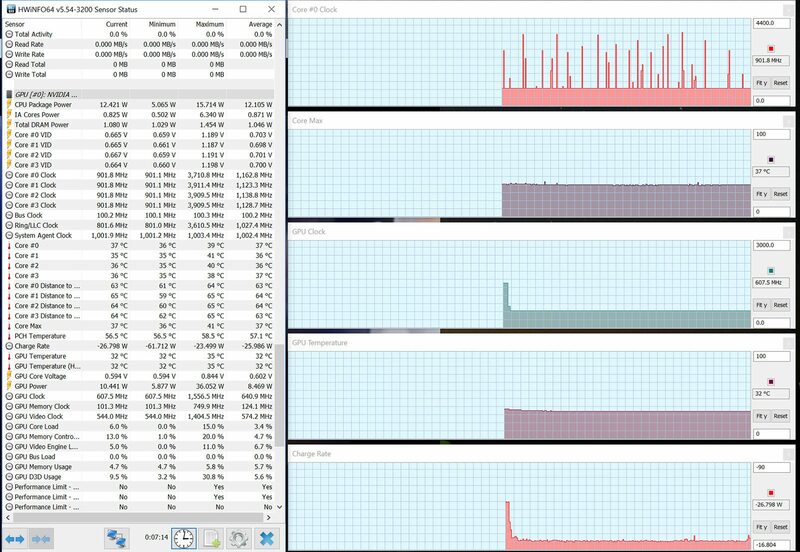 The core temperature, the power consumption during both cases. I haven't run any stress tests yet. I'll probably get to it sometime next week. As for gaming temps, I posted them above. There's also a screenshot of my HWinfo. Great review. Really nice laptop for creators and gamers alike. 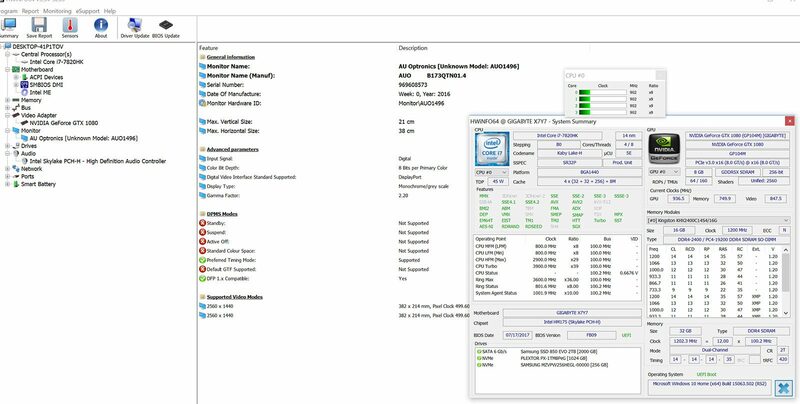 Just wondering why Gigabyte won't use a multiplexer (MUX) that would allow their laptops to have both Nvidia G-Sync and Optimus for long battery life. 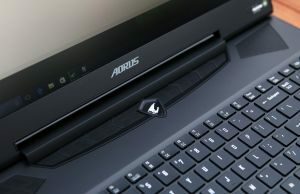 Seeing as how their Aero 15 is such a hit, I'm sure more people would buy their Aorus line only if they adopted MUX in all of their laptops. I agree. This is something I think should be left up to the user. Especially for the thinner laptops, where using them on the road makes sense. Is this really as quiet as the numbers say? 40db at head level – were not previous versions c50+ decibles? I thought the same thing. I'm actually getting a new sound meter in tomorrow, so I'll verify it then. Got my new meter in today and updated the results. Makes a lot more sense now. Great review. I've been using an X7 DT V6 for a while. I really like the QHD screen, and far prefer it to a 4K screen. Fewer scaling issues for some reason. My screen never had any of the issues others reported; perhaps it had been addressed before mine was manufactured. 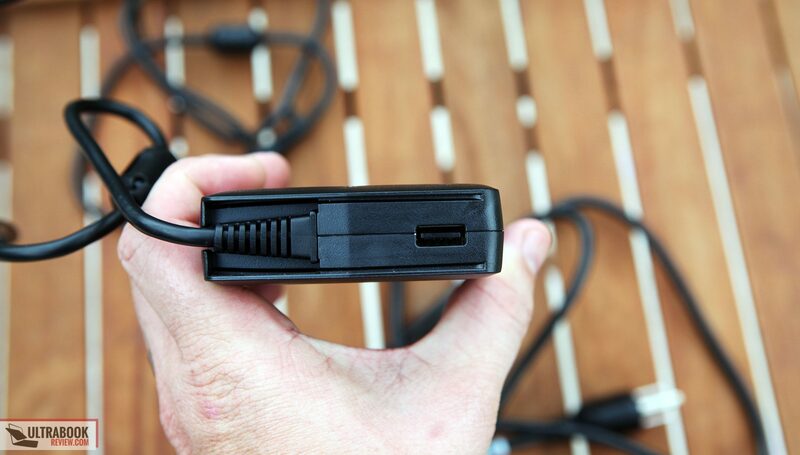 I'm not as fond of the USB port on the back – it gets very, very hot back there from the exhaust vents during extended gaming, and I'm not sure what effect this might have on the lifespan of my mouse dongle. I had my CPU and GPU repasted up front. 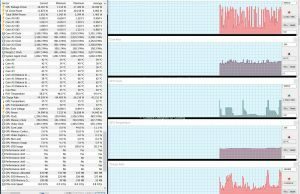 I will mention that I have had great success undervolting the GPU. The 1080 seems to have a lot of room to do so without impairing performance, and I was able to cut down my heat and noise substantially. Finally, after months of carting this around in my backpack and using it daily, I have had no reliability or fit-and-finish issues at all. Thanks for sharing, Tim! 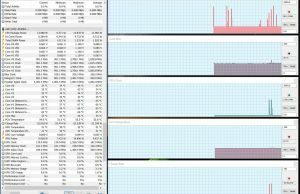 Curious, how were you able to undervolt the GPU? Mine appears to be locked. I used MSI Afterburner to modify the voltage/frequency curve (get to it with ctrl f). Briefly, you need to flatten the upper part of the curve. In addition, I had to put a bit of a peak at the voltage I wanted to maintain; Afterburner then flattened everything from that point on. It can be a bit finicky getting everything to stick, but not too difficult. I believe a user called phila_delphia posted on a number of forums about his experience. Hopefully Aorus didn't remove this capability with the V7! I think they did because when I use Afterburner, it only allows me to adjust clock speed and ram speed. I'll keep looking into it but I'm guessing it's a locked vbios. Which would you guys suggest as a better overall gaming laptop? 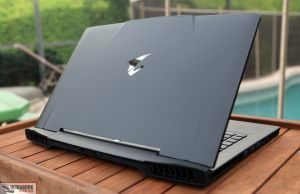 The Alienware 17r4, Aorus X7 DT V7 or the Acer Predator 17x? I'm looking at all the laptops fully specced out with 4k screens. I want it to deliver the maximum in gaming performance along with good multimedia and decent webcam capability. Which is the best, most consistent and most reliable? I'm currently studying my masters in the US but I hope the 3 options I stated can be serviced in India if any problem arises in the future. If it weren't for the graphics stuttering I had with the AW17, I'd say that one. But the fact I had to in a row with that issue makes me wonder how extensive the problem was. I've never used the Predator in person, so I can't comment on that one. I'd say the safest bet would be to try the AW17 and test the crap out of it when you get it. If you have problems, their return policy is really good. I'm only recommending them over the Aorus because servicing Gigabyte laptops in India is an unknown for me. I'm seeing KL3K3D model number listed as IPS not TN; could you give the full model number of the unit you reviewed? In the states I'm seeing newegg and amazon carrying an "ips" model with 120hz and 2560×1440 reso. That's the same model I have. It's not IPS – it's a typo in the listing. There are currently no 17" QHD IPS panels that are 120hz. I am curious has this keyboard problem been fixed? 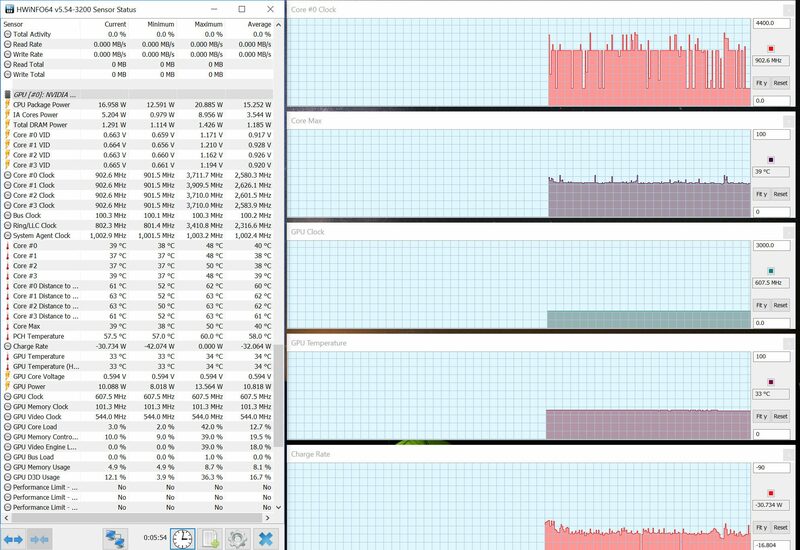 I've been through a few AW17R4's and all had heat/ stutter issue. I gave up and started to look here but keyboard issues seem wide spread. If you mean the ghosting, then it's still an issue so far. I'm not aware of any other issues. sorry for my english. i bought x7 dt 'v6' qhd yesterday. instead of v7, because v7 took so long to get. i just can't be patient about delay. especially, above all, difference in the 'display'. display is most important thing to me. after reading your review, v7 has more decent display than v6. that makes me sad….. If you don't notice any horizontal lines on still images on your screen, then I'd say don't worry about it and stick with the v6. Those lines were very obvious to me though. I tried but just couldn't get over it. it`s been 2 days since my x7 dt v6 arrive. there are lines on display, but i notice those lines only when i try to notice it. so the horizon line issue is still going on with dt v6, but it`s not a big deal for me…. 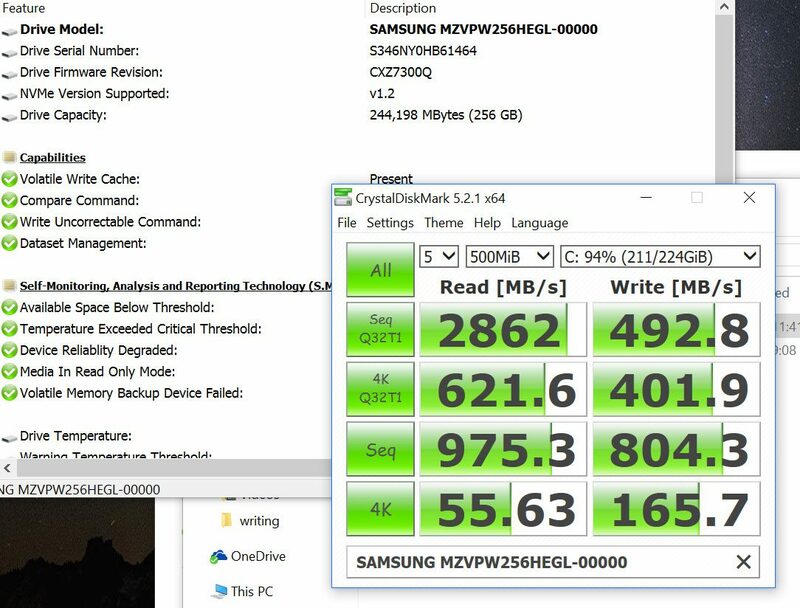 I got my x7 DT v7 UHD, one point to note is my M2 drive is Toshiba and runs at half the speed of the Samsung you tested! Maybe you got lucky with spec!! Do you know anything about when is Aorus will send this to stores? Thanks for the review was really helpful, you're the first one that has done a proper review about the laptop. I don't know if I should preorder or wait for more reviews, I'm worried about the keyboard issues from last version. What were the issues from the last revision? I can look into it more. Keys getting spam or stuck constantly, or the complete keyboard failing suddenly after a couple of weeks. Also I've heard that CS isn't good. 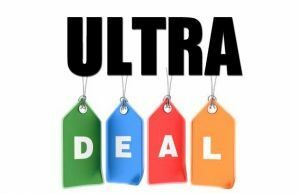 What other laptops would you recommend checking out, that are available at the moment? I haven't had any trouble with keys getting stuck. I have had the keyboard stopping working though and it ended up being some bad drivers. Reverting to 1.1.2 fixed my issue, so I'm leaving it there. I've never had a laptop with keyboard drivers, so it's a little annoying to have to even deal with stuff like this. 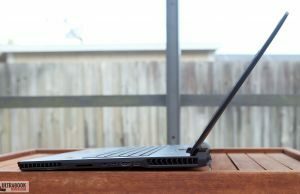 As far as other laptops, what are your preferences? Any particular GPU, screen size and/or weight and thinness requirements? I am currently sitting on the fence between this laptop or razer blade. I don't mind of things being loud or heavy, but I want the laptop to be reliable as my current one is failing me. Are there some other laptops you might recommend if there are other than these two? I personally didn't care for the blade. If you don't care about the weight and size though, the Alienware 17 is a pretty good system as well. How long does it take for the battery to regain its full charge once dead? I haven't timed it but the charge rate is around 30-40whr, so 2-3 hours. Fair enough, so it usually discharge on battery as fast as it takes to charge it. Thanks for your answer. I just bought mine today and now it is the waiting game :) Well the 1070+QHD version. 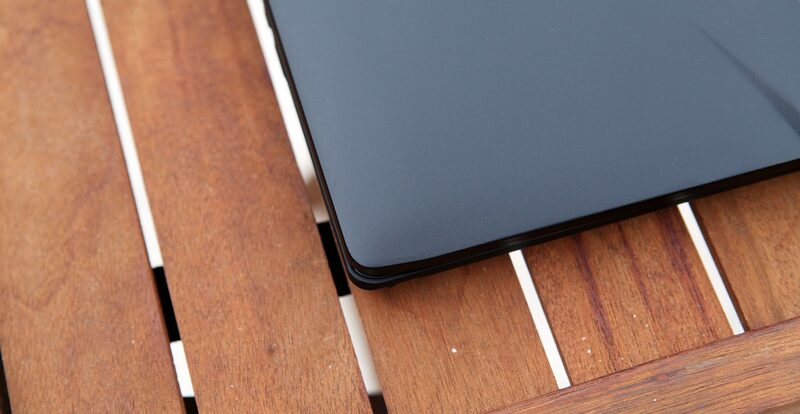 Is there a way to remove the logo on the trackpad or cover it? Is it like, part of the glass or is it a vynil on top of it? No they are both permanent. The logo is underneath the glass. I'm not sure. I was thinking of replacing mine but I'm having trouble sourcing one that's the same size. I'll let you know if I ever figure it out. I'd say the noise levels are very similar. To me, this is basically a smaller version of the AW17. But smaller means it gets significantly hotter. If you can live with that, you'll like this laptop. I don't mind significantly hotter at all. Just can't have it so loud it clears the room :) Thank you! 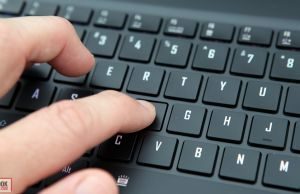 Is there keyboard ghosting? Basically, if you do CTRL+ALT then try X,S,W,2, or F3 does those work? 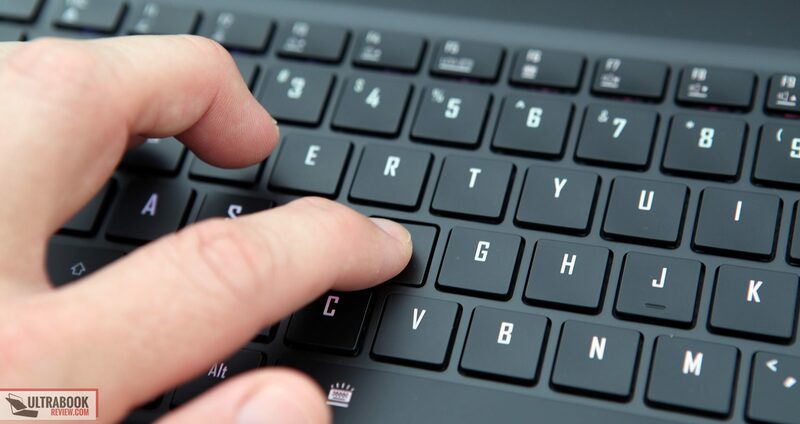 I've read up that the laptop isn't Anti-Ghosting, but those keys together are pretty important. That's holding the two Modifier + 1 other key like X or S. Is your X or S still registered? I'll check in the next couple days. I'm moving so it might be a while. I've received my laptop and done some testing… It's pretty bleak truth be told. Combinations of the like of: CTRL+ALT+X doesn't work… those are modifiers key, they should work with anything. However, the worst is this: S+D+2 S+D+3 doesn't work, in the same manner A+S+1 and A+S+2 doesn't work. Those are movement keys + ability keys. 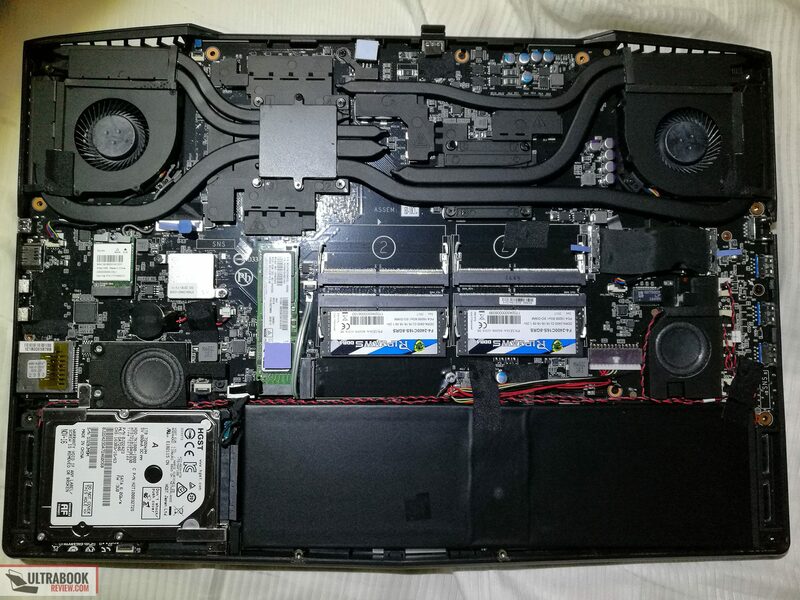 For a gaming laptop, this is pretty deplorable, especially at this cost! What firmware version are you running on? Derek, would you mind sharing your EQ settings that you found worked well? 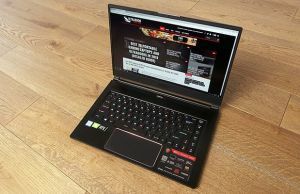 I was considering on buying between the G752VS oc edition or this laptop. Which would you recommend? I can't really comment on the Asus since I never have had my hands on it. It was definitely on my short list when I was choosing a keeper but I immediately lost interest in it because of how large it was at the vent area and the position of the keyboard. I also preferred a QHD screen over a 1080p. especially since the screen size is 17". 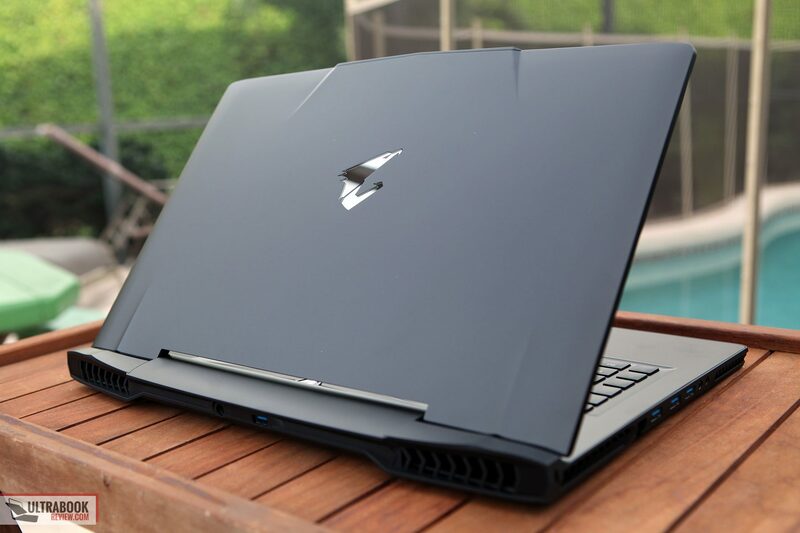 It definitely looks like a good machine though and will probably perform just as well as the Aorus(maybe even a little better). The heft and flashy orange highlights are just not for me though. Thank you for the reply, and when i think of it, Aorus has a gtx1080 while asus has gtx1070. Additionally, the fact it is QHD makes me interested. I will probabaly order it today or tomorrow. One note, tho. If you intend to play MMOs with it, you might want to consider. This laptop is nearly perfect, I quite enjoy it. However, it has horrible ghosting issues when it comes to the keyboard. On the current firmware, 1.2.0 for the keyboard, the keys A + S + 1 doesn't work together, the 1 doesn't register. Same thing for AS2, SD2 and SD3. So no backward strafing with abilities. If you don't think this will be a problem, I also recommend it. MMO, i do play some of it but not that much. Thank you for the notation though, really appreciate it. can you give me some advice please ?? sorry for my bad english before .. Even though they don't advertise it, the RBP is the equivalent of a GTX 1080 Max-Q. The Aorus is more like a desktop 1080, so you'll be getting better performance out of the Aorus. 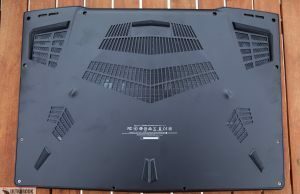 The main advantages to the Aorus are the extra 2.5 HDD bay, the extra ram slots(heck, ram slots in general), the anti-glare screen, better keyboard(besides the ghosting issue), more ports, better cooling, better performance and far cheaper in cost. The advantages of the RBP are better build quality, better trackpad(albeit on the right), slightly more portable, touch enabled. I personally found the keyboard on the RBP to be awful to use, which is ultimately why I didn't keep it. The cooling system was also a problem, but I could have lived with it. There's no way to justify that cost. I still stand by my review on that one – if were $1000 cheaper, it would be a decent machine to get. The value just isn't there to me. The Aorus offers more for the $ if you ask me and the only real deal breaker would be the ghosting issue on the keyboard. But that really only affects just some gamers. Thanks for this review, its extremely thorough. I've had nothing but issues with my 2016 Blade Pro and last night it finally crapped out on me and wont turn on. The battery is expanding and cracked the case (it was in standby mode in my backpack going from A to B and decided to do Windows updates and melt itself in there). The thing also hard crashed all the time mid game and never got decent frames running at 4k, had to run at 2k to get even decent performance. I did a TON of research when I first purchased it and this is the first article almost a year later that I read that the 1080 in it isnt just underclocked but a mobile version. NONE of the marketing or blogs anywhere mentioned that and I never would have bought it knowing that. And the power supply isn't even enough to run the hardware which is why it would always disconnect from power mid game and go on battery mode and limit it to 30fps. This thing had no business having a 4k display (And really what gamer would take 4k60hz vs 3k120hz). Waste of $4k, only hope is that Razer will fix it up good enough for me to pass off to some other sucker with a couple grand to blow. Just bought the X7 DT v7 and used your affiliate link, thanks again! Thanks and I hope you enjoy it. Yeah, the throttled 1080 of the RBP isn't mentioned on a lot of the articles out there. Many of them are just taking Razer's word for it. 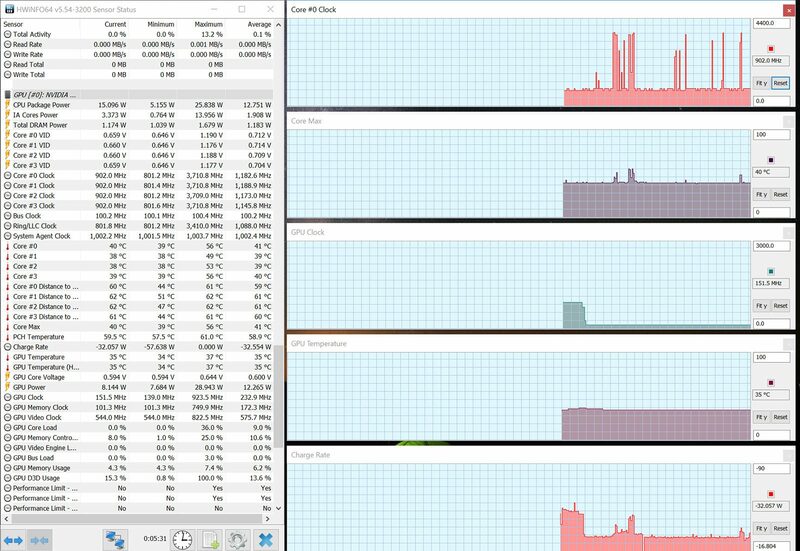 A few others, you just have to read between the lines in the benchmarks. When Razer first came out with it, there was no "Max-Q" spec, so most people were just accepting that there was a 1080 in there and leaving it at that. Thanks for the excellent write-up. I was about to order one after deciding against the RBP, but I’m wondering if you’ve heard anything yet about a keyboard jamming fix? I found a sticky post in the Aorus support forums discussing this issue but the last post was in May with no current information. An engineer there (not an Aorus employee) said this issue was typical in older-design keyboards made for typists, where two keys pressed in the same row would inactivate the recognition of a key being pressed in the same column of Anne of the already-depressed keys. He did not believe this could be fixed with a firmware update as he believes the problem is in the hardware design of the board they used, and the Aorus rep in the conversation did not contradict this and stopped responding. I refuse to drop this much cash on a system poorly designed for the target consumer, but if a fix has actually been released (and works) I’d jump on getting this machine. Thanks! As far as I know this still hasn't been fixed, only improved slightly through software. I've been keeping current on the forums and I think it's likely a hardware issue like you suggest, otherwise I think it would have been fixed by now. Unfortunately this is something I almost never test since I don't play those types of titles ever. On top of that, I don't think this is even an issue in almost any other gaming laptop currently out there so I've never really seen the need to test that feature. It's pretty lame that they would overlook something like that. My machine is in pieces for a couple days, so I can't try anything out right now but I'll definitely do any testing you want once I have it back together. I'm upgrading the LCD screen but got a bad panel, so I'm waiting on getting the replacement in the mail. 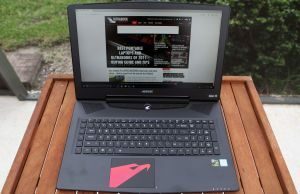 Sweet Review, been researching like crazy to find the best laptop for value. been tossing between this and the Alienware with same specs for the cheaper price. 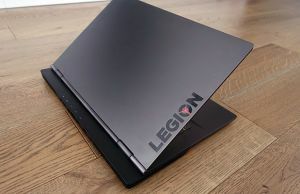 or maybe its worth waiting for the newer Laptops with new specs to come out wether they have AMD or Nvidia running gear. 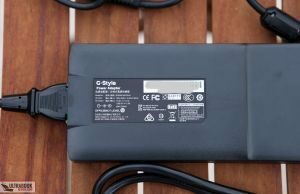 have you read into laptops that are able to have Optimus and Gsync gives the option to turn of GPU and make battery last longer when not gaming.. 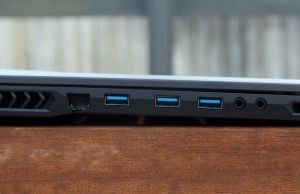 I've heard some of the larger Clevo and MSI laptops having a built in MUX switch to turn on/off Optimus. It's nothing I've ever had my hands on though and they aren't common. 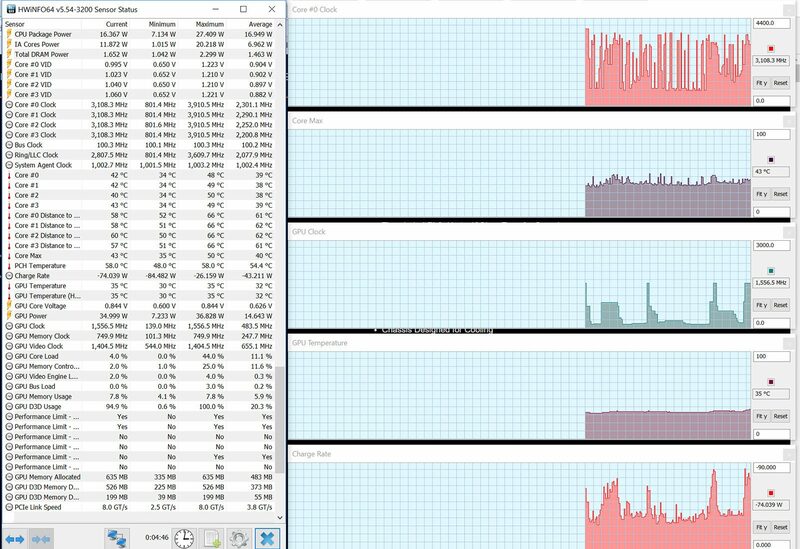 Just wanted to know if the Aorus X7 DT would have issues if I used it for long period of time considering the heating issue you mentioned (Not gaming, normal use like editing docs and watching movies) with turning the lap off only during weekends? There are no heating problems with normal tasks. It should be perfectly fine for long periods of time. If your work includes constant high demand on the CPU, it might get a little warm underneath. It's not going to get as hot as my Doom test though.